We work with you to identify your challenges and streamline your business process. We strive to align your software with your work flow, bringing critical information to the surface. Together we can reduce steps to input and retrieve the information you need to bring your team together and get the job done. We partner with you to create solutions that keep your organization agile and able to do your best work. 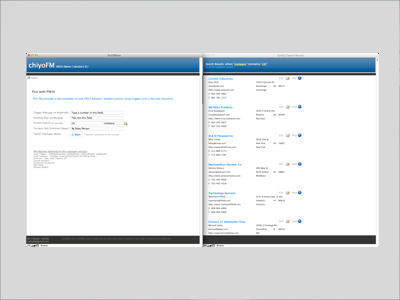 The FileMaker Workplace Innovation Platform is the perfect fit for your information puzzle. 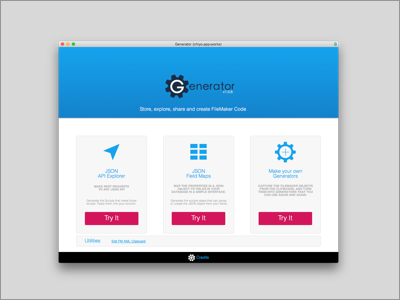 An affordable, feature rich, rapid development environment that allows you to create multi-platform apps for desktop (Apple/Windows), the web and iOS devices. Keep your data on your network or a private cloud. Share it with the world by way of the web. 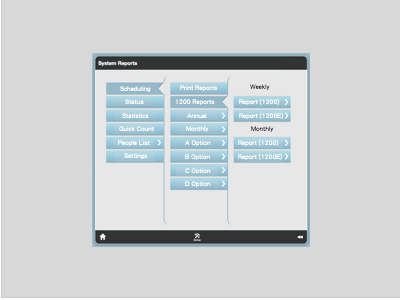 Automate repetitive tasks. Integrate with other software APIs. 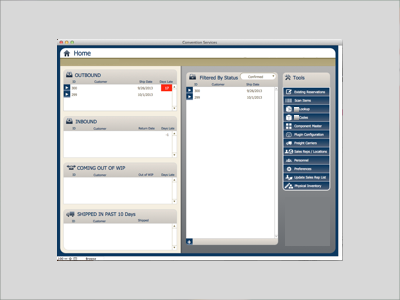 A FileMaker solution can play a role as light weight as a spreadsheet/paper replacement or be the core business application used to steer the ship. It is a widely adopted tool by Mom and Pop operations to major corporations across the globe. 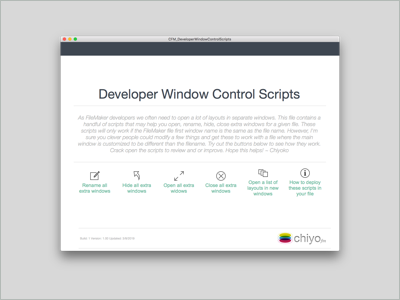 Solutions created with FileMaker are supported by an exceptionally passionate and diverse development community. FileMaker Inc. is a subsidiary of Apple and has been growing and improving this platform with out fail for 20 + years, so you can count on it being around for a long time to come. 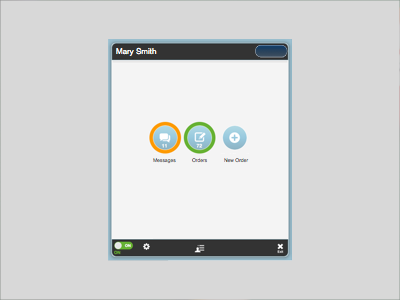 We love to create beautiful software that is thoughtfully designed for people who use it. The success of a piece of software is how well it fits in the hand and mind of it's users. Good design makes all the difference in the success and longevity of a project. We craft our solutions from the outside in and the inside out. Making software is a process that not only results in a tool that increases productivity and quality it also allows you gain perspective on the big picture to the finest detail. It is a learning process that improves the entire organization. If your solution needs a make-over or you need help with user interface design on a new project, we look forward to hearing from you! Privileged to work with these companies! "Great work and great people who are passionate about solving problems." Hello World! My name is Chiyoko Yoshida. 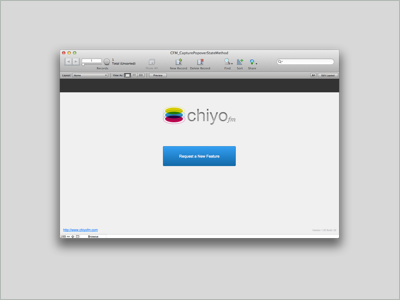 chiyoFM is a company I founded in 1997 in Chicago, Illinois. 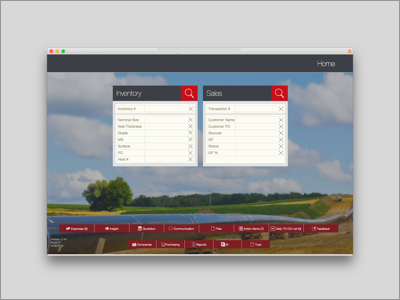 I partner with my clients and other organizations to create applications that streamline workflows for desktop and iOS with an emphasis on excellent UI and UX. The mission is to do great work, with great people who are passionate about solving problems. I have grown up with the FileMaker platform, building custom apps, participating in the development community, earning FileMaker certifications and attending every FileMaker event possible. I graduated from attendee and dipped a toe into presenting in 2013 @PauseOnError when I held a session called "How we work". It all started after art school. I became a self-taught, in-house application developer at a Design firm. Eventually I found a job working at a Web Design/IT/Networking/Security firm where I learned a ton about technology. At that point I decided to focus exclusively on custom application development and consulting. I had great fortune to find a position as a Senior Developer working at two Platinum FileMaker firms. Along this path I found my wings and the courage to pursue my dreams to dedicate all of my time to building my own business. Things have gone well and I have great clients, great projects and I collaborate with some of the best development firms and independent consultants in the world. 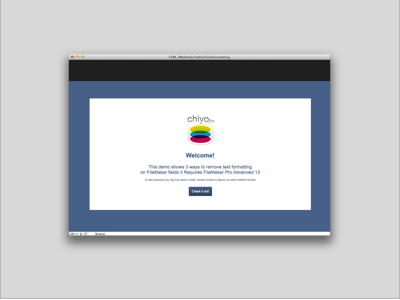 chiyoFM puts together teams of highly specialized consultants to produce solutions for businesses across the country, over a wide variety of industries. From Alaska to Boston we share an intimate knowledge of how businesses work inside and out. Our clients specialize in design, manufacturing, music, entertainment and the medical industry to name a few. Outside of chiyoFM I love exploring my new home state and village in rural northern New Mexico. Having migrated from my home town Chicago, IL I enjoy living and working in a very remote area. It's a new world of big skies, red dirt, a tiny house nestled on the side of a beautiful mesa near indian ruins. It is the land of enchantment with not a strip mall or gas station within 5 miles. 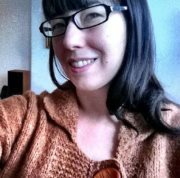 I enjoy making art, music, biking, hiking, and cooking with my boyfriend, 3 dogs, 3 cats, 3 fish and 1 geen-cheeked conure. This FileMaker 13 demo file shows 3 methods to remove text formatting from fields. People often request you change FileMaker native behavior to strip formatting if a user pasts text into a field so the font size, style and color remains consistent. Here you will find several different ways to acheive this. They all have their own pros and cons. 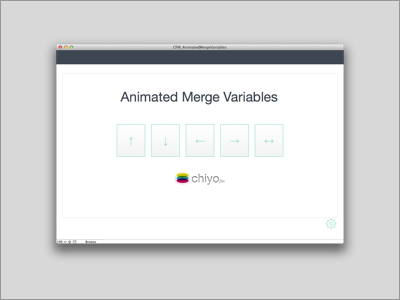 This FileMaker 13 demo was an experiment with creating some animated UI effects using FileMaker merge variables. Its just fun to click thru. It's not tested on windows yet. I may do a blog post in the future to explain more detail about what is going on under the hood at some point. This was inspired by Jeroen Aarts demo file Randominator. 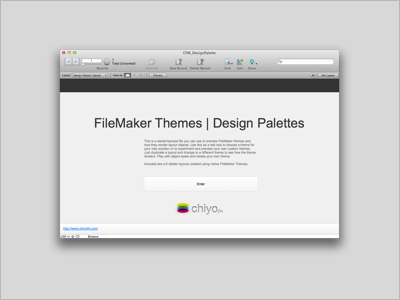 I needed a simple way to visualize the new FileMaker 13 themes and learn more about them. So I created a demo file as a design palette. 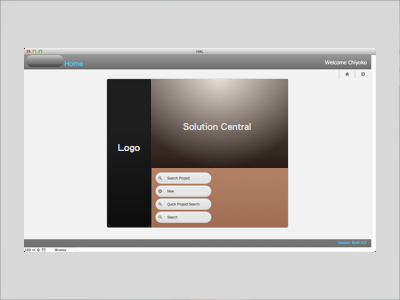 This demo file explores each theme and visually shows the details of each layout object. You can see and experience how layout objects render for each state in a WYSIWIG like fashion. 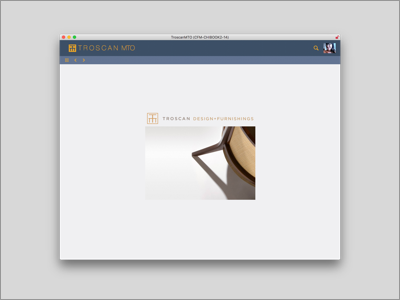 With this tool you can gain perspective on the consistency of your design as a whole. This FileMaker 13 demo file is a "New Feature" request idea created as an experiment to discover how to capture when a popover is active. 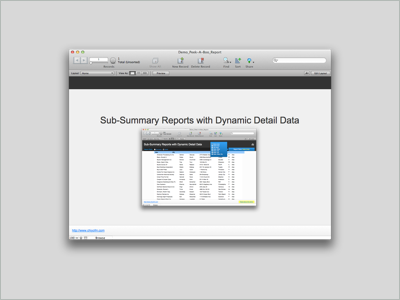 It was very exciting and a great honor to see this file included in John Sindelar's session "Year in Review" at FileMaker DevCon 2014. 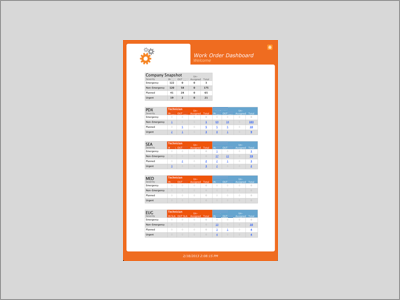 This demo illustrates a powerful reporting technique that allows a developer to show both summary and detail data dynamically from a single layout. This technique. This will save time in not having to support multiple layouts. Copyright (c) 2013 chiyofm, LLC All rights reserved. | Contact Us: info@chiyofm.com | HC 72 Box 186 • Ribera NM | Design by FreeCSSTemplates.org.